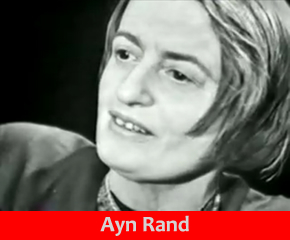 Readers of my blog will know that my most recent entry concerned a Toronto Star editorial that erroneously implied that Alan Greenspan’s role in the credit crisis was due to his being influenced by Ayn Rand. The clear implication was that the crisis was caused by the laissez faire capitalism espoused by Rand. I wrote a letter to the editor, and suggested others do so as well. There were an number of other articles under that heading that, though not referring to Rand, did explain that government intervention, not capitalism, was to blame for the credit crunch. The editorial should never have been published, but I think the Star has played fair by publishing these letters. Congrats, Paul. I was pleased that they published both our letters and loved that headline, too! And congratulations to you too Mark! Well done to both of you, Paul and Mark. I’m glad that the Toronto Star showed at least a bit of spine. However, looking at that LONG list of titles on your previous post for the articles bashing Rand simply makes me furious (though not surprised). It puts one thought in my head: these people DESERVE what they’re going to get. Is it time to shrug yet? Thanks for fighting the insane opinions of the communists at the red star.